Open to the public to enjoy – FUN for the whole family! 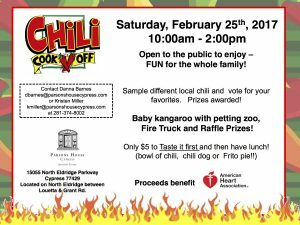 Sample different local chili and vote for your favorites. Prizes awarded! Fire Truck and Raffle Prizes! Only $5 to Taste it first and then have lunch! Located on North Eldridge between Louetta & Grant Rd. FRIDAY NIGHTS JUST GOT FRESH. Bring your blankets and lawn chairs, family and friends and appetite for fun. 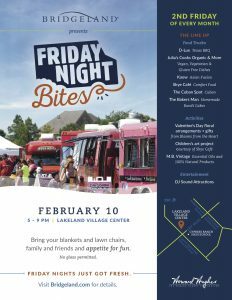 Visit Bridgeland.com for details. Click image for full sized flyer. 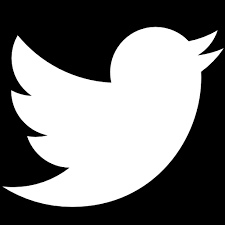 Your Life. Your Smile. We Understand Both. © 2007-2017 All Rights Reserved.